Affordable services for sole proprietors, small business, corporations and law firms. We greatly appreciate you taking the time to learn the BLE College Park HUBZone. Tell is about your needs and we’ll guide you to a plan that is just right. No long-term commitments. Upgrade or downgrade anytine. No pressure, no hidden costs. Once you have everything you need, you can relax. Just submit your request and consider it done. BLE Executive and Virtual Office Suites LLC is a leading provider of affordably-priced office, conference room, flexible shared and virtual office solutions in Prince George’s County, Maryland. 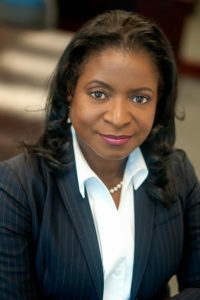 Bernadette Clay, who is an accountant by training, is president and CEO of the company, which she founded in 2007. She is a passionate advocate for entrepreneurs and a thought-leader for advancing small business in Prince George’s County and beyond. The company currently operates three-full service locations, BLE College Park HUBZone, BLE National Harbor Centre and BLE Largo Park Centre, and has plans to expand rapidly in the weeks and months ahead. BLE is an outgrowth of Bernadette’s personal experience. For years Bernadette worked out of her home in Prince George’s County, but occasionally needed a place to meet with clients. She founded BLE to address the needs of businesses, big and small, for affordably-priced services, virtual offices, office suites, meeting spaces and satellite offices. BLE has three virtual office locations.